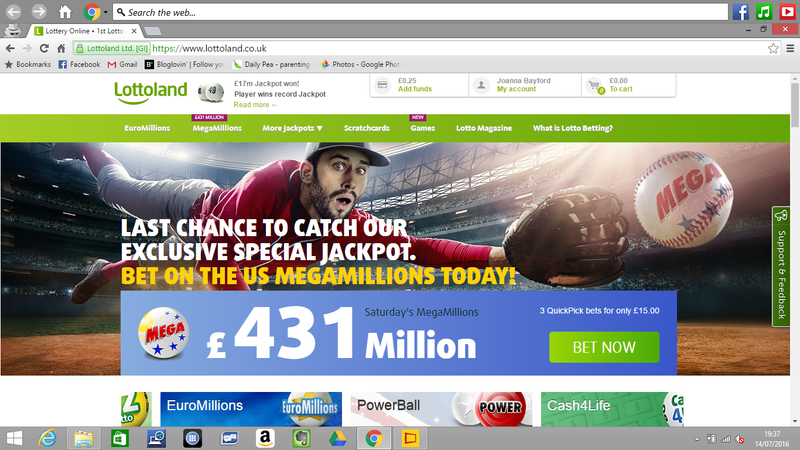 I'd never heard of Lottoland until I was approached by them recently. I thought that I wouldn't mind seeing what the service is like and how it works. I'm not usually a gambler; I have done the Euromillions, the National Lottery and bought a few scratch cards here and there before but very rarely. So when it comes to using the website to and do the lotto's what is different is that you are not actually purchasing a lottery ticket. Instead, you are betting on the outcome of the lottery. I've never done this kind of betting before so is all new to me but the concept gives you the opportunity to play along and bet on lotteries that are not normally available to us. 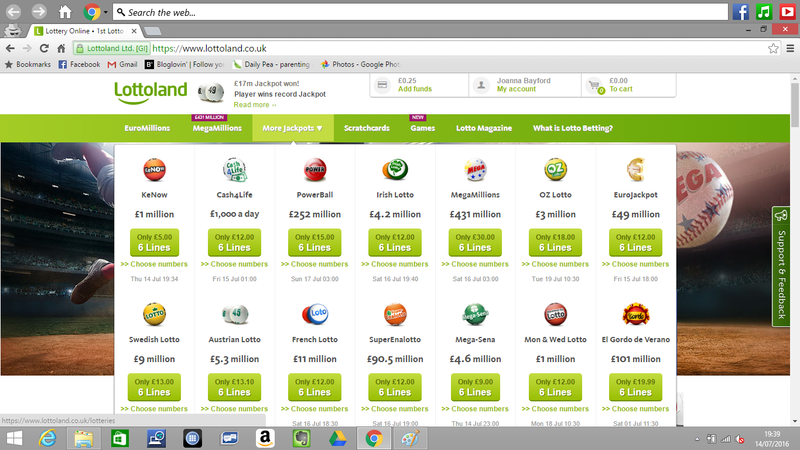 Some of the lotto's which I were interested in are the euromillons, irish lotto and powerball. The Euromillons most people have heard of but I didn't know of the Irish lotto or Powerball as well as many of the other lotto's you could bet on. To play, it is the exact same way as other lotteries you select your numbers, sit back and wait for the draw which are activated for Wednesday's and Saturday's. I also gave some of the scratch cards a go which you can buy in 1's ,5's and 10's. Some are as little as 15p a ticket and with most you just have to match 3 of the same numbers or pictures to win. I won 5p and 25p quite a few times on them. The website is pretty easy to use and is very easy to find what you are looking for whether its Euromillions, Mega millions, more jackpots, scratch cards and games. I have of Lotto Land. Been playing for a bit now. I have never heard of this before until now.